During the winter months, it can be difficult to stay healthy, especially when your family and friends get sick with the flu or the norovirus. 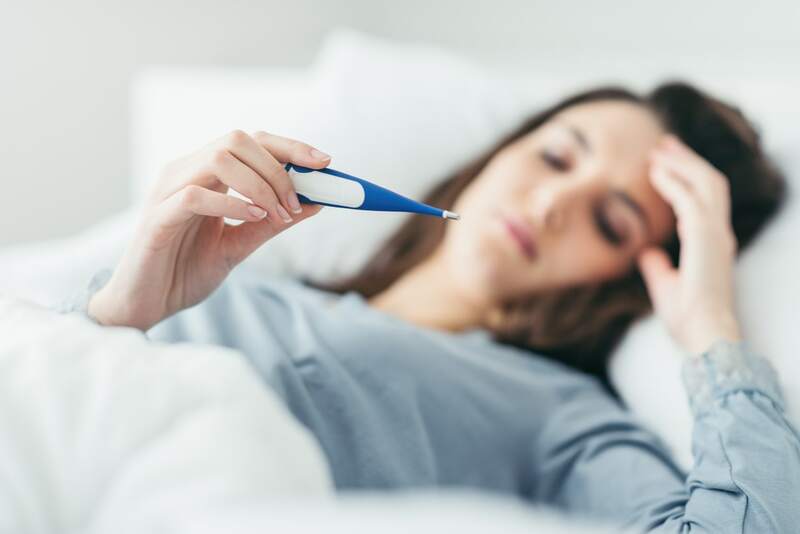 Fortunately, Dr. Lavanya Jitendranath, a Middlesex Health infectious disease physician, offers some ways you can try to protect yourself. Flu season is usually between October and April, peaking in January and February. The flu is mainly spread by tiny droplets made when people who have the flu cough, sneeze or talk. These droplets can land in the mouths or noses of people nearby. The duration of the illness is typically between three and seven days, and it can cause severe complications – even death. Dr. Jitendranath says getting a flu shot is the most important step in protecting yourself against the flu. Getting a flu shot now can still be beneficial! The norovirus, often known as the stomach bug, is a very contagious virus. It is the most common cause of foodborne diarrhea and vomiting, and you can get it by having direct contact with someone who has the norovirus, by consuming contaminated food or water or by touching contaminated surfaces and then putting unwashed hands in your mouth. Dehydration is the most common complication of the norovirus, particularly among young children, older adults and people who have other illnesses. Most people who have the norovirus get better within one to three days. If you get the flu, stay home, rest and avoid contact with other people unless you are seeking medical care. Most people who have the flu will not have complications and do not need to take antiviral medications. However, you should contact your doctor early in your illness if you are very sick, or in a high a high-risk group for complications. Those at high risk for complications include young children, adults older than 65, pregnant women and people with certain medical conditions. If you have the norovirus, Dr. Jitendranath’s best advice is to drink plenty of liquids to replace the fluid you are losing. Contact your doctor if you develop symptoms of dehydration, such as decreased urination, having a dry mouth and throat or feeling dizzy when standing up. Unlike the flu, there is no specific medicine to treat the norovirus.